Let's she some wicked facts about mosquitoes! 1. 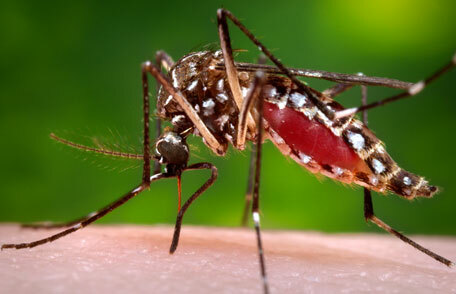 Only female mosquitoes bite humans and animals; males are vegetarians. The male ones feed on nectars. 2. Not all mosquitoes bite humans. Some of them feed on the other animals like amphibians and birds! 3. They fly at a speed of 1-1.5 mph. This is actually very slow for an insect. 4. The buzzing sound created by the mosquito is because of the rate at which it flaps its wings. They flap at around 300-600 times per second! 5. When a male mosquito has found its female match, their wings beat at the same frequency! 6. Mosquitoes cannot breed without water. 7. Adult mosquitoes can survive up to 6 months. The female mosquitoes live twice as long as the male ones. 8. Mosquitoes hate fans as they distort their flying motion easily. 9. Over 3000 species of mosquitoes have been discovered to date. 10. A mosquito grows out of an egg into an adult in just 4 days.